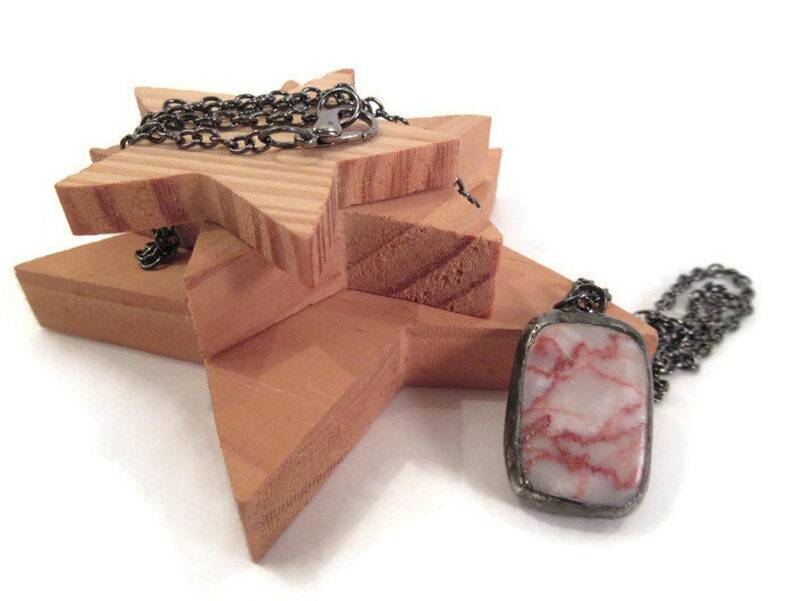 This pretty stone necklace was created using a Beige marble stone with red veins, copper foil and lead free solder. The Pendant is a small rectangle that comes hung on a 22 inch or 56 cm chain that matches the black patina that I have used. This pendant is also reversable since it looks good on both sides. This marble pendant is a one of a kind, unique and comes packaged in a handmade fleece gift bag that is perfect for gift giving or safe keeping. Chain Length: 22 in or 56 cm.